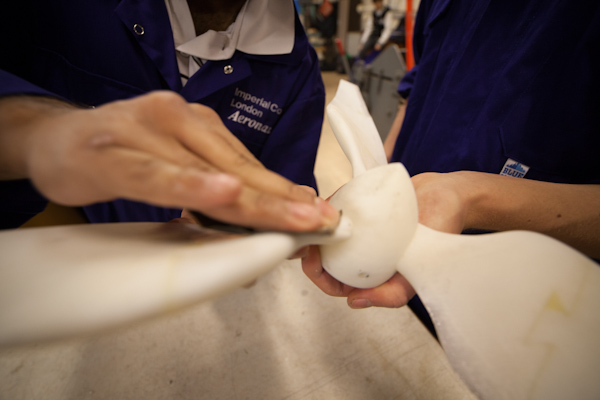 Design, build and test a wind turbine. My role entailed choosing optimal aerofoil sections to use at the root and tip of each blade, based on published data and data obtained from XFOIL software. I drew a CAD model of the blade, in addition to the nosecone and mounting hub picture below. The blade needed to be split into 2 parts due to size constraints of the 3D printer; the assembly then involved gluing all the dovetailed sections and sanding to as smooth a finish as possible. 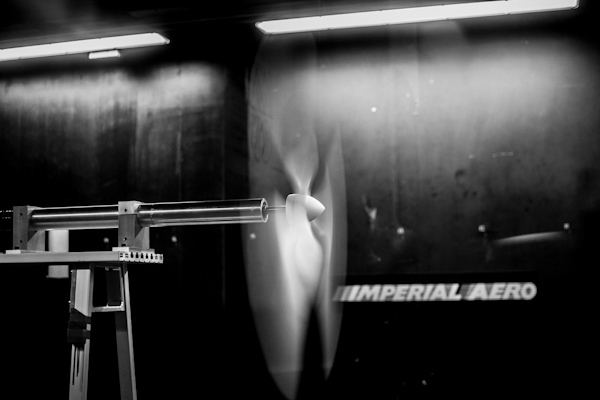 Testing proved successful, with our turbine performing among the top 10th percentile. 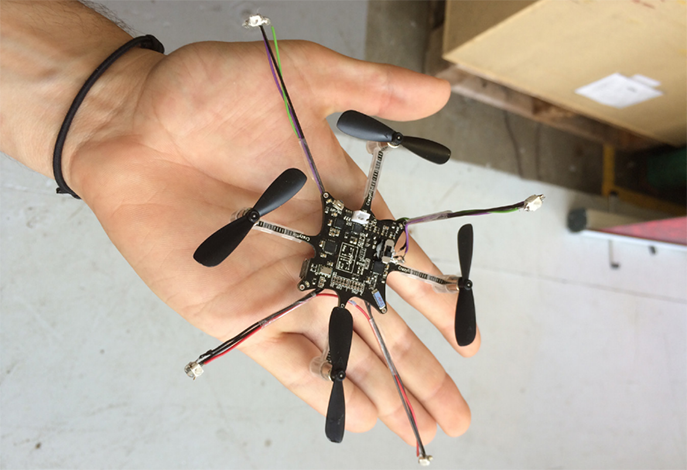 Undergraduate Research Opportunity Program: Construction via a swarm of nano quadcopters. A third year group design project in which I stayed on to conduct further research in the Imperial UROP scheme. The team of 22 undergraduates were given the task of constructing a web between 2 trees, using two fully autonomous quadcopters, and having a third quadcopter perch onto that web and descend at given intervals within an indoor flight arena. 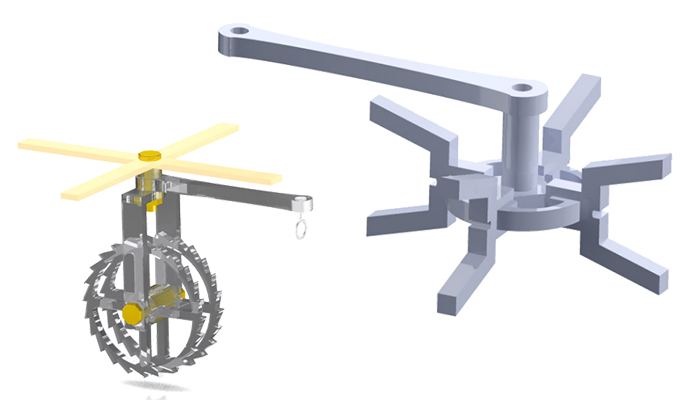 Our team of 3 designed and manufactured a construction pack which would house the fibre & anchor needed for the web construction. During my UROP, I further optimised the construction pack design and upgraded the LED array placed on the drones, required for position tracking in the flight arena.